Pat Iyer offers this Iyer’s Insights about outsourcing for busy nurse entrepreneurs. 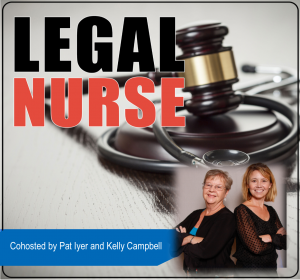 As a legal nurse consultant, you might be holding down a full time job and also running your business in your free time. You’re not quite ready to quit the job, which gives a steady paycheck, but you could be uneasy about what you are hearing at work. There might be discussions of layoffs, mergers, consolidation of departments and changes in titles – these are occurring in lots of healthcare facilities these days. This is a 6 module course with 4 additional sessions of questions and answers designed to let you capitalize on the advantages of outsourcing. Pat Iyer started her business with 2 filing cabinets and a board to use as her first desk. She outgrew her home based LNC business when she began hiring employees and then moved into an office condominium and hired more employees. After she sold her business in 2015, she turned to the outsourcing world for help. Pat has used Elance (the predecessor of Upwork) and Fiverr and currently relies on the help of virtual assistants to run her business.